A brand new video of David Bowie’s ‘No Plan’ has been released to mark the first anniversary of the singer’s death this week, as well as what would have been his 70th birthday. ‘No Plan’ is one of three new Bowie songs released in 2016 on the ‘Lazarus’ soundtrack. The songs were recorded during the sessions for ‘Blackstar’. The video for ‘No Plan’ was directed by Tom Hingston and features a series of televisions in a store broadcasting the lyrics to the song. 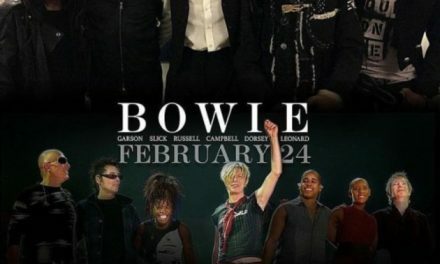 Hingston created the video as a Bowie tribute. The televisions feature images of space travel and Bowie’s character from The Man Who Fell To Earth, as onlookers gather outside the store and watch through the window. The three songs included from ‘Lazarus’ have been released as the ‘No Plan’ EP. The title track from Lazarus was included on Bowie’s final album ‘Blackstar’ album. It’s been a year since we said goodbye to Brixton’s very own Starman, but that hasn’t stopped David Bowie from unleashing more surprises on us. 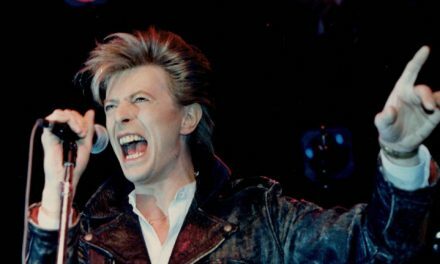 The day before what would have been Bowie’s seventieth birthday, the BBC debuted the video for ‘No Plan’ – one of Bowie’s three final recordings which, along with ‘Lazarus’ from ‘Blackstar’, have been released as a posthumous EP. Directed by Tom Hingston, the video shows a group of passersby gathering to watch rows of televisions in a rain-drizzled shop window as images of space travel flash across their screens. But it turns out the ‘shop’ is actually a laundrette in Brockley. Tongues began wagging in Brockley when, a few weeks ago, the laundrette on Endwell Road appeared to be having something of a makeover. But it turns out it was all in aid of Bowie, being rechristened Newton Electric – a nod to his role in ‘The Man Who Fell to Earth’. Any eagle-eyed music fans may also notice the ‘Foxgrove Road’ sign outside the shop, which is the Beckenham road where Bowie grew up.